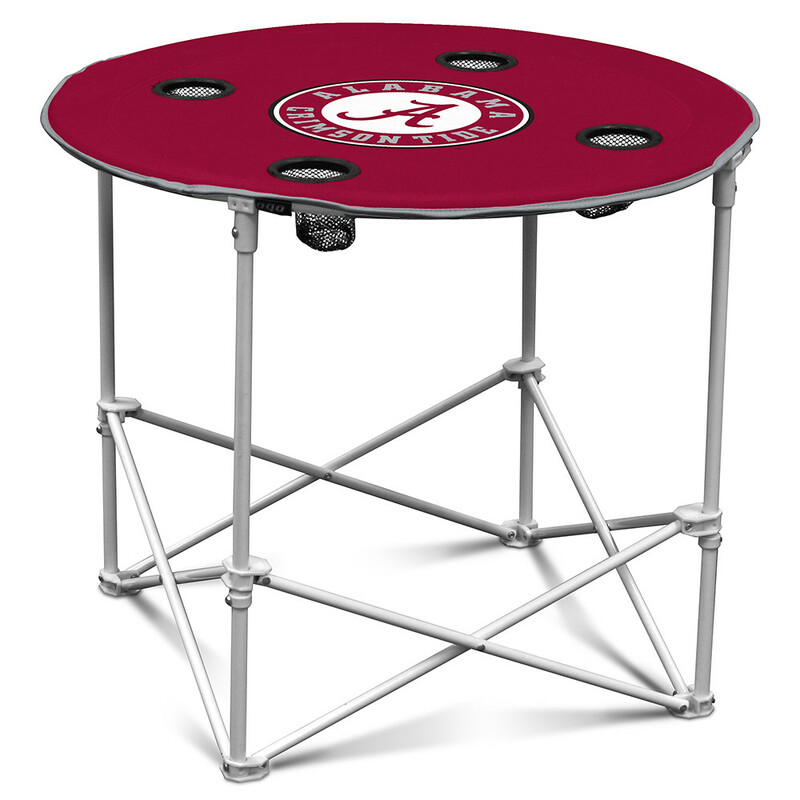 NCAA Officially Licensed: You will definitely want this Alabama Crimson Tide Round Table at your next tailgate party or outdoor event. 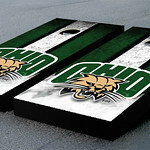 This table features a screen-printed team graphic in the center and 4 mesh-lined drink holders. The table folds up into the included carry bag for easy storage and transportation. The Alabama Crimson Tide Round Table is part of the Tailgating Starter Kit. 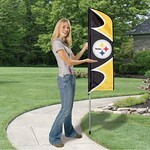 When purchased together (Tent, chair & table) you will save up to $100 and get FREE Shipping.